Fans of the British science fiction television series, Doctor Who, celebrate April 23 as Impossible Astronaut Day. Celebrate Impossible Astronaut Day by honoring everything that reminds you of Doctor Who, the popular TV series. The unofficial annual holiday celebrates the day in 2011 when the first episode of the sixth season of the series was aired in the United Kingdom, United States, and Canada. Doctor Who is a sci-fi series that first aired on the British Broadcasting Corporation (BBC) in 1963. The show follows the adventures of the Doctor, a time-travelling alien, who travels through time and space in a time machine and spacecraft called Time and Relative Dimension in Space or TARDIS. 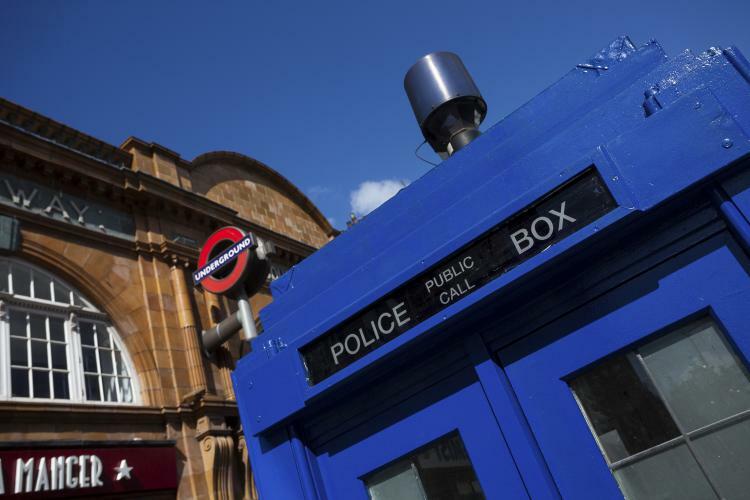 The TARDIS looks like a London police box from the 1960s. Called The Impossible Astronaut, the episode became one of the most appreciated and watched episodes of the series. Whovians, as fans of the show like to call themselves, draw tally marks on their bodies to observe the day. The tally marks come from the episode when the main characters draw on their bodies to remind themselves about encounters with monsters called the Silence. If you have never watched the show, what about starting the show on this day? Who knows, by next year, you may be a Whovian yourself! If you are a Whovian, make tally marks on your body to celebrate the holiday. ...that 12 different actors have officially played the Doctor on the show? Look Alike Day is a fun holiday that encourages people to look out for people who look like them. Jelly Bean Day on April 22 is a made-up holiday that celebrates jelly beans. Take A Chance Day encourages people to take chances and do things that they were always afraid to do. Lover’s Day on April 23 honors lovers, spouses and significant others.